This is a very big question. Just in the UK alone we see a diversity of hair trends across the various groups. However I have seen a surge in two areas regardless of the wearers hair type or length. Top-knots used to be the hairstyle of you did if you didn’t have time to do your hair or you was a granny. But then Chanel’s Fall 2018 ready-to-wear show happened. The models appeared on the runway as if they had literally just thrown their hair up into the up-do and suddenly ‘undone’ hair was cool again. For the first time in my life I actually wore a modern top bun and felt really chic. From the humble hair clip to more statement bows and ribbons, hair accessories have stolen the hair limelight in recent months. I predict a sophisticated version will only grow in popularity as women with limited time and wanting to make a statement reach for those clips, grips, bows, gems and pins. “It really started over the summer months where the heat was extreme and so people were wearing their hair up and accessorising. Although all of the accessories differ in shape and style, they all can be adapted to a multitude of looks which is why I think it will be key for 2019.” we are even seeing natural hair being accessorised by grown women. Let’s hope we get another wrapping hot summer like 2918. Starting and running a business can be very lonely and exposes you to bouts of isolation. When this happens the need to be loved, needed, and pampered is very strong and there is nothing wrong with that. Ones self esteem can suffer and this can be compounded by historical experiences (childhood, family etc) and frustration and exhaustion when trying to lift your business of the ground and working a 12 hours day. Being an ideas person, being creative and wanting recognition for that is achieved when the evidence is people buying your services or products. The people you have surrounding you is very important, they have to be of a similar stock because they get it, they move into activities that support your dream and help you benefit from your hard work. Many women are brilliant because most of them run several things at once if they are mums, wife, daughters, designer, marketeer, sales person, social media expert, bookeeper, packer and distributors and the list goes on. The main point is to have total confidence in who you are, listen to tapes and watch video that continually empowers you. Mix with the pack that stimulates and motivates you and you them. When you live like this all who is to be in your life will gravitate towards you and give you joy and support. You will easily be able to then identify anyone around you that does not naturally fit into your gang because they don’t naturally make you feel better, they add weight to your life and focus on distracting you. But we are born with free will and you can use it to experience your life in what ever way YOU want. The ultimate responsibility is your. Would you like to learn how to apply a non evasive, won’t damage clients hair, flat looking undetectable hair extensions technique in one day using no glues, threads or cornrows on your clients head in under 3 hours? Then this is the course for you. Learn how to apply this new technique in on our day course which is packed with lots of advice, theory and practical training. You will simply be amazed at how you can help lots of clients around your location get lovely hair without damaging it and making impressive income at the same time. This course is discounted from £450 which includes a starter kit down to £170. The first 15 people to register will get a further 20% discount of this discounted price. All you have to do is register your interest, there are lots of dates to choose from and pay your £25.00 admin enrolment fee to reserve and ensure your place. Think your hair isn’t long enough for some of these looks? Well, most of these ladies aren’t growing hair long enough to sit on either. Extensions ensure you can get the bridal or prom hairstyle of your dreams or just stand out from the crowd. If natural isn’t for you, there are lots of ways to get bold and bright. Whether it’s all over rainbow or highlights in your favorite Crayola color, unicorn hair makes cute hairstyles even better. But remember those photos are forever so image what you would like to see 20 years from now. Long curls are another look that is continuing to evolve throughout 2017. In addition to all the classics, we are seeing looser curls, wavy hairstyles and curling just the tips. That means lots of gorgeous texture and body with less styling time. For ladies born with that gorgeous texture, we have some lovely curly hair hairstyles too. So check out these sampler hair styles, they are just the tip of the iceberg, hairstyles for long hair pictures for the hottest trends of 2017 and your next look. We also offer group Hen parties hair makeover deals, or Rescue my hair group deals with bubbly and snacks. 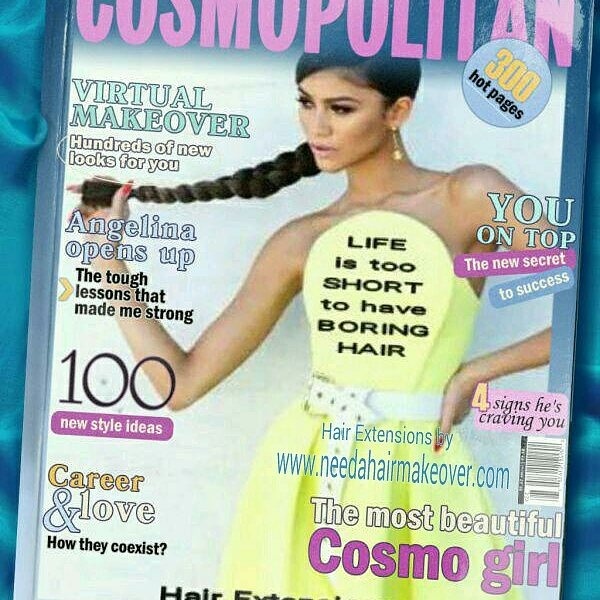 Website for more info http://www.needahairmakeover.com or to book your free consultation. 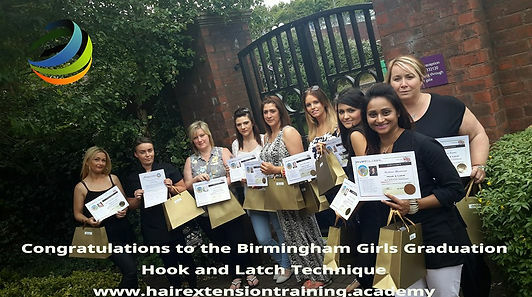 Why setting up a hair extension expert salon could give you a long term career? 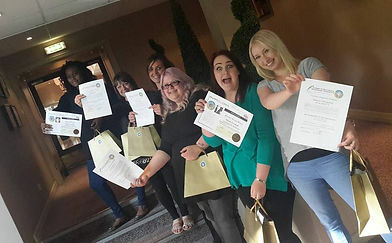 We have seen the hair extension market grow over the past 15 years, now there are more hair extension techniques than ever before and it can be confusing to decide which is the right one for you to either apply to your own hair or become a qualified technician. If you are thinking of becoming a qualified technician, it is important to consider how potential clients might make their decision. Some people will make a decision based on price, others on their hair type and some based on what they need to achieve. Here are just a few tips to help with your decision making process. 1. Wigs: Wigs are a quick and easy way to give yourself a quick makeover. What you need to bear in mind is that the cheaper the wig the more un-natural it will look. You don’t need to spend a lot of money but it is worth investing in a wig that you can use from time to time. Client will pay between £120 – £300 for a good quality wig which could last for up to 12 months. 2. Hair Pieces: There are lots of different hair pieces from pony tails to rear hair attachments in all different shades, curly, straight or plaits. There are also specialist hair pieces for thinning hair that can help disguise any problems. The thing to bear in mind is that hair pieces are not often very secure and could make you feel a little uncomfortable. Some of the ponytail pieces can be securely fixed, so if you want a demure look go for a ponytail. 3. Integrated Weaves: This is when wefts of hair is sewn onto a fine cornrow which is then hide by the bulk of your hair on top. It is a popular technique because if done correctly it can look very natural and offer up a robust and secure hair enhancement solution. If you look after the hair you can reuse it when you go back to have it re tightened. Clients could pay between £190 – £330 for the integrated weave. 4. Pre-tips: This is small pieces of hair that have been pre bonded together. They can be added in sections all over the head to aid thickening, give the impression of highlights or lowlight and length. Pre-tips can be applied using heat, micro rings or even small elastic bands. Be aware that they have to be professionally removed so as not to damage your own hair. 5. Strand by Strand (glue gun): This is when hot bond is used to bond small sections of hair to the recipients own hair. It was a very popular technique in 6 years ago, but requires professional application and removal by a qualified technician. Can give the appearance of flyaway hair that you could somewhat run your fingers through. It is a very time consuming technique and is much better for a long term wear over 3-4 months. 7) Net Weave: This technique is used when the client wants to partially extend just a section of their hair or if the client suffers from patchy alopecia. This technique is suitable for 2-4 months wear. 8) Hook and Latch: This technique does not use any glues orhttp://www.hairextensionstraining.academy threads. It is a beautiful technique, flat to the touch and hair could be worn up. It works well with shorter hair especially the Micro ring track technique. 10) Braides and Plaits: Braides and Plaits have been around for hundreds of years. A technique that can look very simple or quite exotic. Braids can be worn for a number of months until the hair grows out, they can even have beads added to the end for that extra special look. Clients also suffer from thinning hair can be helped, click here to hear what one client had to say. As we see an aging population, people are becoming more confident about getting help to resolve short term or long term hair problems. 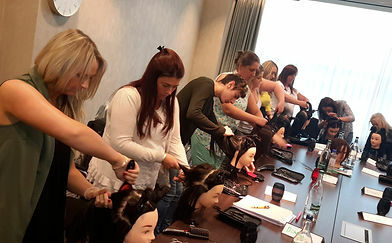 There is s shortage of qualified hair extension trainers and specialist practicianers in the UK. Visit this link to find out more and how you can become qualified and invest in this business. Hair loss can have a devastating effect. It’s important to know that the earlier a hair loss problem is diagnosed, the better the chances are of treating it. We always recommend seeing a qualified hair specialist to diagnose conditions. This is one of the most common forms of hair loss. It affects both men and women and occurs in distinct patterns. In men, this form of hair loss is very obvious. At the end of the process – which can take from 15-25yrs – the only hair remaining is at the sides and the back of the head. Roughly one third of all women are affected by this type of hair loss normally on the vertex (top of the head) with the front hairline often intact. The process of shedding is on average 50-100 hairs a day. This condition manifests itself in patchy hair loss, usually starting with a small spot that can spread. It is an auto-immune disease where the body attacks itself, killing off the hair. In general, the onset of alopecia can be caused by illness and raised temperature, shock, viruses, inoculations, medication or a period of extreme stress 2-6 months before a bald patch appears. It’s important to remember that early diagnosis and treatment can minimise the effects of the condition. Following diagnosis, many patients are extremely anxious which can also exacerbate the problem. It is advisable to seek specialist advice on how relieve stress and help hair growth to resume. Alopecia Totalis is condition in which total loss of scalp hair occurs and can follow on from unchecked alopecia areata. The result is a loss of all body hair including eyebrows and eyelashes. This form of hair loss is very distressing. This condition manifests itself in shedding from all parts of the scalp. A great deal of hair is shed before the effects become noticeable. Telogen Effluvium can be caused by high fever, thyroid, postnatal depression, anaemia, surgery, medication, emotional stress, shock, dental treatment, surgery or dieting. During pregnancy, high levels of female hormones generate healthy hair. Some women can experience diffuse hair loss after childbirth. Chemotherapy or radiotherapy drugs work by attacking rapidly-growing cancer cells in the body. Because hair follicle cells also multiply very quickly – like cancer cells – chemotherapy drugs have difficulty in discerning the difference. This means that cancer treatment also destroys fast-growing hair cells and the hair falls out. Damage is not irreparable however and hair usually grows back 6-8 weeks after chemotherapy treatment has ended. A rare form of Alopecia that is extremely stressful and caused by a patient self-harming i.e. pulling his or her own hair out. Given the psychology surrounding this condition, sufferers may not initially admit to pulling their hair out. Although young children can be particularly prone to Trichotillomania, it normally affects adolescent age groups. Several scarring conditions may includeLichen Planus, Lupus Erythematosus, Folliculitis Decalvans and Pseudo Pelade. These conditions can be slowly progressive and scarring of the scalp causes permanent hair loss. A condition often caused by hair extensions or hair styles that cause physical trauma to the scalp e.g. cornrows, tight braiding which causes patchy to total hair loss prodominately around the hairline becomes weak and stops growing. Dandruff (Pityriasis capitis) – This condition is all too familiar and about half of all Caucasians will have had dandruff to some degree before they are 20. In most people, it disappears after the age of 50 or so. Dandruff is associated with a tiny yeast called pityrosporum ovale, which is normally permanently present on the scalp. In dandruff, there is an increase in the regular loss of cells from the skin surface and they are lost more quickly. As more cells are lost, the yeast grows more rapidly. These cells may clump together to produce the all-too-familiar flakes of dandruff. Psoriasis – Chronic skin condition affecting 3% of the population. It appears as raised, inflamed skin topped with silvery white scales. In severe cases the whole of the scalp may be covered by scales and there may well be some hair loss. Severe cases are extremely uncomfortable and distressing. Seborrhoeic Dermatitis – Scaling condition characterised by yellow, branny scales on the scalp and red, irritated skin. It is sometimes associated by an unusually greasy scalp. In babies, the condition is known as ‘Cradle Cap’. It can also affect the nose, eyebrows and ears. In severe cases, Seborrhoeic Dermatitis may lead to hair loss. Head Lice (Pediculosis Capitis) – Infestation of parasites living off human hosts. The hosts are 6-legged creatures, 2 – 4 mm in size and grey in colour. They are found near the hairline, at the nape of the neck and around the ears. This condition is highly infectious (ova hatch within 5-8 days). Lice can live off the human scalp for up to 48 hours in scarves, hats, chair backs, combs, brushes etc. Impetigo – Bacterial infection of the skin that results in weeping, crusted sores and produces itching. It is often seen in young children and is highly contagious. Ringworm – Fungal infection which appears as pink, scaly patches on the skin. It is more likely to be caught from animals than from humans. Having you hair extensions steamed can be an effective tool that adds moisture, restores color vibrancy and strengthens the elasticity of dead hair not to mension the benefits to your own hair. According to master signature hair extensionist and author Diane Shawe the steamer uses heat and water to lift the cuticle on the hair shaft and allow conditioners and treatments to penetrate and condition hair. Another benefit of hair steamers is that the moist heat encourages blood flow to the scalp, aided circulation of the scalp equals healthier, longer growing hair when hidden away under hair extensions. Whether you have blonde, fine or coarse hair, long or short, or no hair extensions your hair will benefit from hair steaming. Diane advises doing a steam treatment every two weeks to build up moisture retention. If alternating between pre-shampoo oil and deep conditioning treatments, Just be sure not to overdo it, because over-steaming can actually over-moisturise the hair making it limp and weak. Amongst other benefits, steaming helps to increase blood circulation and flush toxins from the body. But since this post is about haircare and hair extensions, we are infinitely more interested in the benefits to hair. This is an area that is still very much in debate, with the science behind it a work in progress. Pre-pooing is simply using some sort of conditioning treatment on the hair prior to shampooing. This can be with oils, special treatment conditioners or even regular old instant conditioners. Adding steam at this stage can often increase the efficacy of the treatment. This is the point where most people incorporate steam as it’s the easiest and most obvious. The steam increases the absorption potential of the conditioning product used whilst providing additional moisture. Apply the deep conditioning product to the hair then add steam via whichever method you prefer. Steam should be used for 15-20 minutes but no longer than 30 minutes. This involves covering the hair in a light layer of oil, leaving it to sit for a while then rinsing it out. This helps keep hair lubricated reducing tangles and single strand knots. It also adds shine and depending on the oil used, can add strength. I like coconut oil as it penetrates the hair shaft and help reduce hygral fatigue. Using a steamer can take this process to the next level by helping the oil absorb even more deeply. After applying the oil, leave it to sit under steam for 15-20 minutes then rinse with cold water. Dont use too much as this can make the hair heavy during styling. Whenever I use the gym or go to a spa with a steam room, I always make sure to pack my deep conditioner. It’s a great way to get a full body steam session going. You can slather the conditioner on your dry hair, no need to add a shower cap walk in and steam away. Hair Extensions have been trending from Hollywood red carpets, Global awards through to a local person within your inner circles for the past 15 years. Why? Celebrities on Red carpets and magazines have normalised hair extensions. Hair extensions has been a trending topic among many women as youtube has helped catapult the good, bad and ugly of the fake it market. But is it all vanity vanity as some parts of the media suggests? It is arguable that the main reason for the popularity of hair extensions is that one can get instant gratification. That extension adds to the thickness and fullness of your hair in a shorter period of time than waiting for your hair to grow. There spot lighthe seems to be forever turned on and time is now a precious commodity. So for some women this is a no-brainer. If you’re tired of your hair style and sick of waiting for your hair to get to the length you want, sick of chemicals, sick of thin lack lustra hair? then with over 16 different hair extensions techniques there is bound to be one technique that can help achieve their goal. For instance Clip in hair extensions are very popular and operate with pressure-sensitive clips, you can apply these for everyday use or special occasions but they must not be worn for over 5 hours per day These products will give you the ultimate beauty boost, allowing you to defy biology and get the thick, long locks you’ve always wanted. It is claimed that the extensions can add up to 10-inches 0-inches of hair to an individual which would translate to an awesome look. Well we have all heard and seen the desaster stories. This is not unique to this industry but the self taught by youtube suppliers have given the industry a bad name and scared quiet a few women forever! I’ll fitted hair extensions or even using the wrong technique can traumatised a person far worse than their original hair problem. It can also lead to clients loosing their hair as a result. 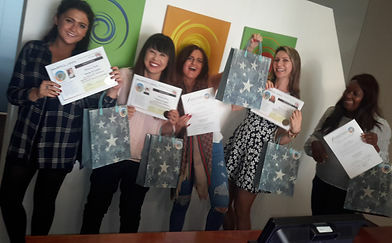 There isnt a internationally recognised directory for qualified and properly trained hair extensions technicians but there are reputable private training schools which could point you in the right direction. 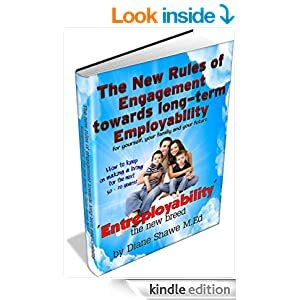 Diane Shawe is an author of 15 books, speaker, trainer, mentor, consultant and entrepreneur with more than 25 years of experience. She has personally trained over 2800 people around the world in a variety of fields and has published a number of works. She has contributed to over 100 Kiva Entrepreneur’s around the world. She was also one of the producers of a Day time Ladies Talk Show in 2015 and Host of one of the UK’s best loved Annual Hair Extensions Awards. Diane also enjoys oil painting, sailing and clay pigeon shooting. She focuses on topics that she is passionate about in her writing and has attracted over 36,000 followers on her popular blog. In business, there are no guarantees. There is simply no way to eliminate all the risks associated with starting a small business – but you can improve your chances of success with good planning, preparation, and insight. 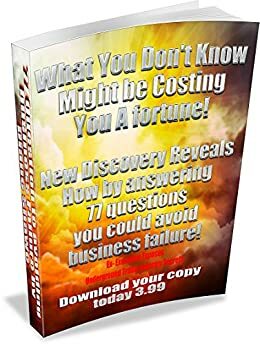 Like you I Never Thought I Could answer 77 questions that would help me avoid business failure – But I Finally Discovered The Secret! Here’s How… Are you really ready? Is Entrepreneurship For You? Are you the right person for the business you have chosen? I would advise you don’t skip the 77 questions, why? Well it would be like short changing your potentially new clients. 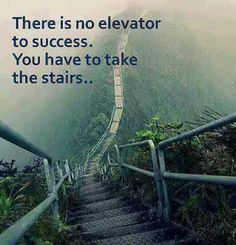 So persevere, some you will answer quickly, others you will need to do a little research, but believe it, it’s worth it, you will be clearer and more focused about what you are going to do. Where do you see bottlenecks developing? How important is quality control? What is the current backlog? Is the product assembly line based or individually customized? What are the health and safety concerns in producing this product? Who are your suppliers and how long have they been in business? How many sources of suppliers are there? Currently, are there any shortages in components? How old is your company’s equipment? What is the yearly maintenance costs? I recommend you get a little notebook and start working on each question. For those you cannot answer a specific question, stop do some research, find the answer and make a note. This is also an invaluable exercise if you are already in business, it can help you clarify where you are today and help you plot where you need to get too and how to do it. October 10, 2016 – City of London, United Kingdom –Need help getting organized? Want to learn how to take a business into a global marketplace? Looking for ways to improve leadership skills? 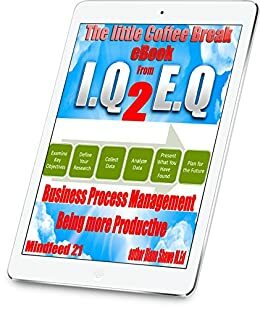 Then check outThe Little Coffee Break Mindfeed eBooks from IQ 2 EQ by Diane Shawe. This collection of eBooks exposes readers to new ideas and proven strategies, and each can be completed on a lunch break, over breakfast, or while enjoying a cup of coffee. Readers from all across the globe have praised Diane for her eBooks, and the opportunity it gives them to learning new information or refreshing their memory quickly. And with topics ranging from stress management and problem solving, to public relations and networking, there is truly something for everyone. 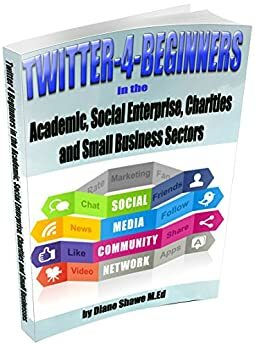 Visit www.diane-shawe.co.uk for more information about her other publications, training courses, blogs and fundraising. Diane Shawe is an author, speaker, trainer, mentor, consultant and entrepreneur with more than 15 years of experience. She has personally trained over 1800 people around the world in a variety of fields and has published a number of works. She has contributed to over 100 Kiva Entrepreneur’s around the world.